I heard Matt Richards, Senior Learning Advisor at Te Papa, first describe ako and it sent my mind racing to two unique experiences as I tried to understand what it was. The first experience was hearing a recording of an Australian Aboriginal songline. The song had an unfamiliar circular structure with no apparent beginning or end. Also absent was a distinctive lead voice or instrument. After hearing the recording it was revealed the song was about seasons. The second experience was watching kids play endless games of touch football on Palm Island – scoring to infinity, limitless substitutions, spontaneous team swapping during game play. The playing of the game was far more important than following an exact set of rules or keeping score. In fact, the rules of the game seemingly adapted to the playing group’s unique characteristics and needs on a particular day. Both recollections have helped me understand ako. Ako is a Māori concept describing a cycle of non-hierarchical learning. It means both to teach and learn, and it acknowledges learning through shared experiences. Hīnātore is a learning space inside Te Papa. We facilitate sessions around a diverse range of themes that connect to Te Papa’s collections and maximise opportunities for creativity, collaboration, critical thinking, and communication. 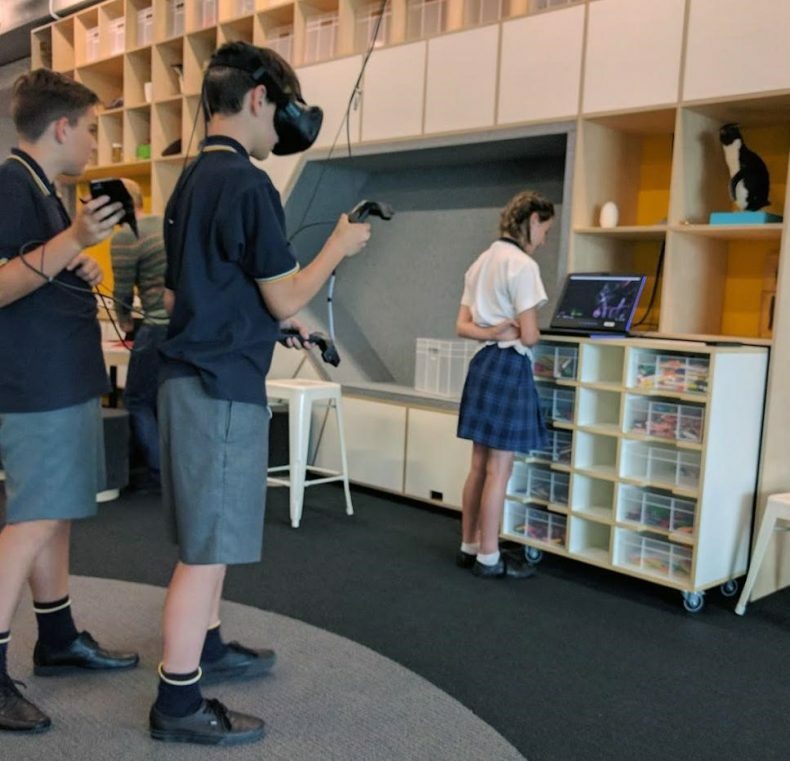 Themes around art and technology have been popular with school groups, while other learners have made inquiries into Pacific exploration, Gallipoli, and personal identity. The space itself is modular, with flexible furniture that changes to best suit the activity and a range of technology, both high end and low end, hard and soft. We attempt ako during learning sessions by facilitating concurrent activities that are integrated and linked by digital, networked, and mobile technologies. For example, while some learners undertake an inquiry on the museum floor, other learners work inside the lab on 3D designs. The information gathered by the inquiry is accessed live by the group working on their 3D designs and informs their design choices. A 3D design might then be imported into virtual reality (VR) for further inquiry or modification. An outcome, in a session like this, may be that learners create in VR ideas for new museum exhibitions. We encourage learners to work in teams but exactly how they work is their own choice; choice around time spent on any one activity, which activity to start with, how many activities to engage with; whether all decisions are made by learners. We also encourage learners to share their processes and products with each other, and often use student-created exemplars to focus the whole group for a moment of sharing and reflection during a session. In this way a student may become a specialist of one process and decide to focus solely on that and pass on their expertise to other students who are moving from one activity to another. Ako can empower learners, however it has its challenges. Running concurrent activities where learners become facilitators of each activity is not perfect. It is typically noisy, very busy, and can be confusing. To really make a session hum, involving everyone in the space in the learning – be they kids, facilitators, teachers, parents, helpers, etc. – is essential. When adults participate and model, kids can often better understand what is expected and become motivated to involve themselves. As an adult it is easy to slip into a default position of authority – to be the gatekeeper, the person with the list, the person who fixes things when they break. It can be a subtle and uncomfortable shift to move from this position outside the learning group to within it. As learners orientate themselves with new tools in a new space, time to play is a necessity. The move from sandbox session to project-/theme-based session is more successful when learners have had time to experiment and play with tools and each other. A last ingredient in experiencing ako is motivation. 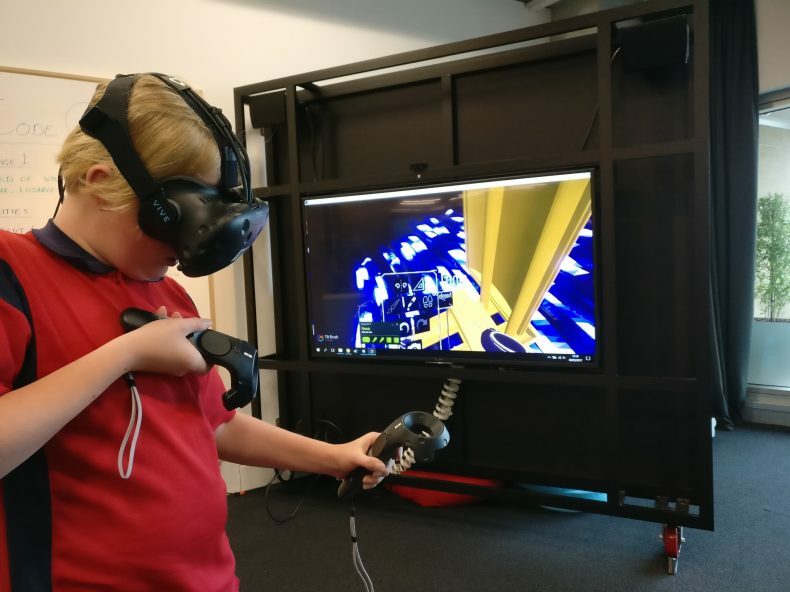 While playing with the shiny new toys in Hīnātore can be motivation enough, a real world outcome that is meaningful to the learners and prompts critical thinking is the aim of the game. As we move forward developing and programming sessions in Hīnātore, we hope to realise a ‘bring your own theme’ approach where learners arrive with their curiosity already activated by a topic. Like the indigenous song with no beginning, the ako, the learning, is already underway. We acknowledge this and then draw on the museum treasures and its new technology and tools to learn more deeply from each other.